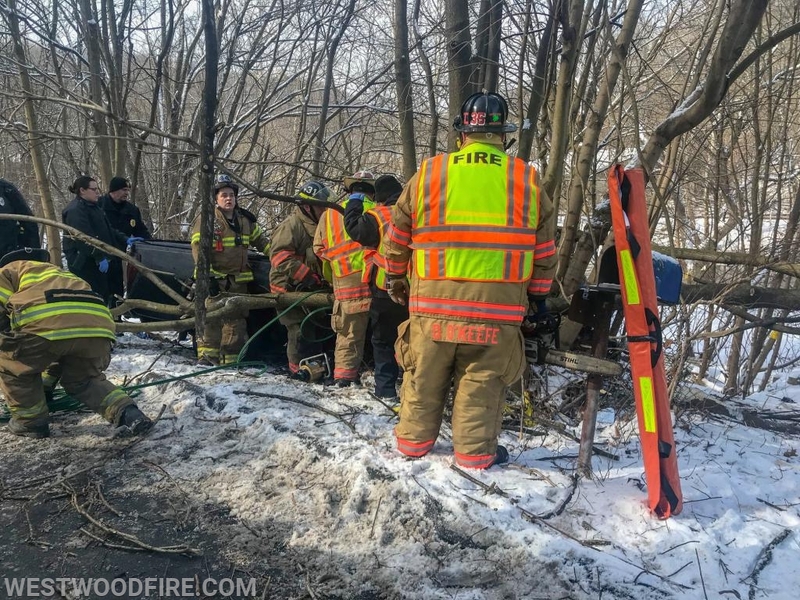 On February 2nd, 2019 at 1120 hours the Westwood Fire Company for the Rescue and Ambulance were dispatched to the 1000 block of Manor Road in the Cat Swamp section of Valley Township for an auto accident. 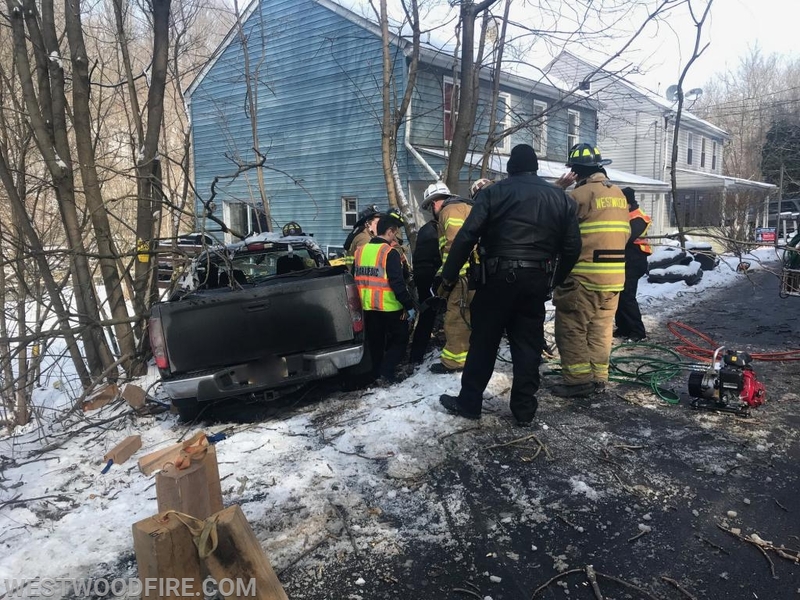 The location of the accident was on Manor Road west of Valley Station Road and involved a pickup truck versus a tree adjacent to a residence. 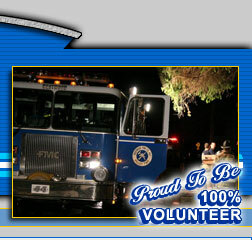 Rescue 44, Ambulance 44-2 and Chief 44 all made the response 2 minutes after being dispatched. Fire Police Lieutenant Pilotti was first on location at 1125 and reported an unconscious patient heavily entrapped in their vehicle. Local police departments were also on scene at this time and assisted with patient care until EMS arrived. 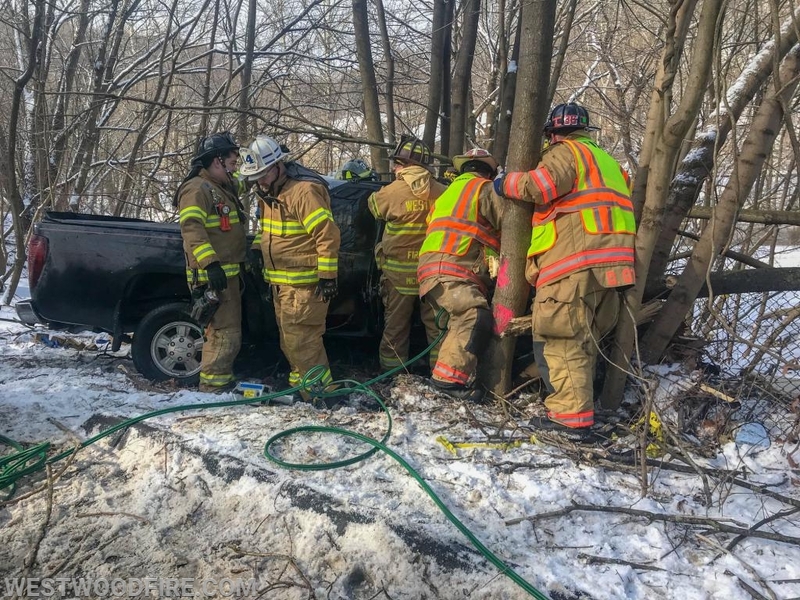 Rescue 44 arrived at 1127 and firefighters immediately went into service with hydraulic rescue tools to remove the patient from the vehicle. 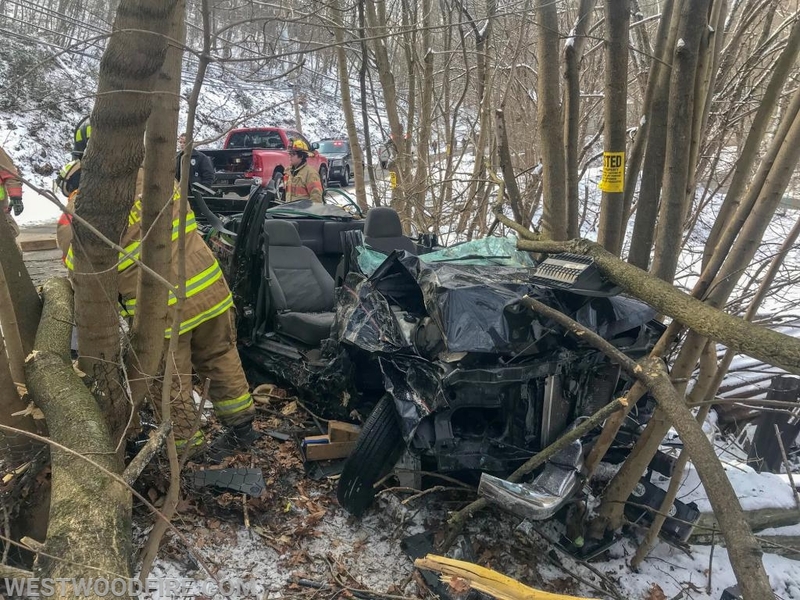 Additionally, chain saws were used to remove trees from around the vehicle so firefighters could gain better access. Chief McWilliams established the Manor Road Command and requested additional ambulance medic units to the scene due to the number of patients involved. Manor Road Command also requested a second rescue truck to the scene for additional manpower and resources. This summoned the Wagontown Fire Company. 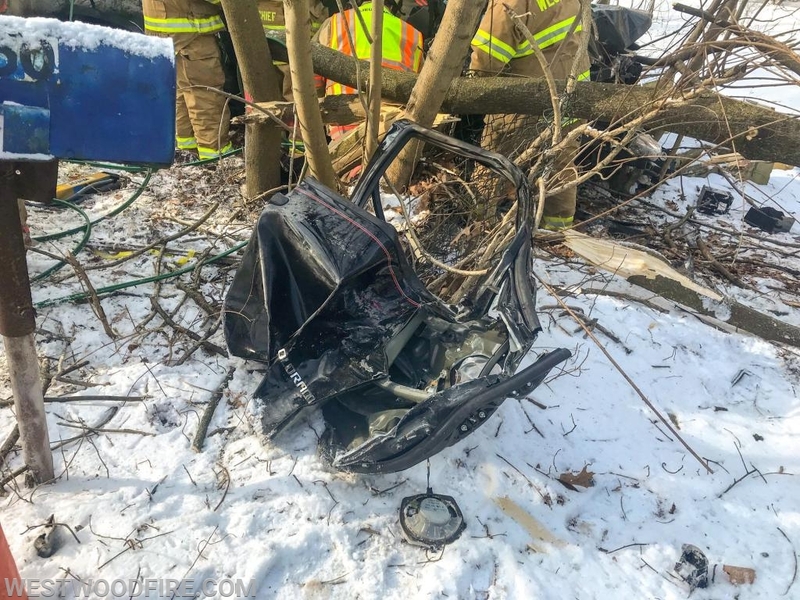 Firefighters removed a passenger side door, the entire roof and lifted the dash off the patient. 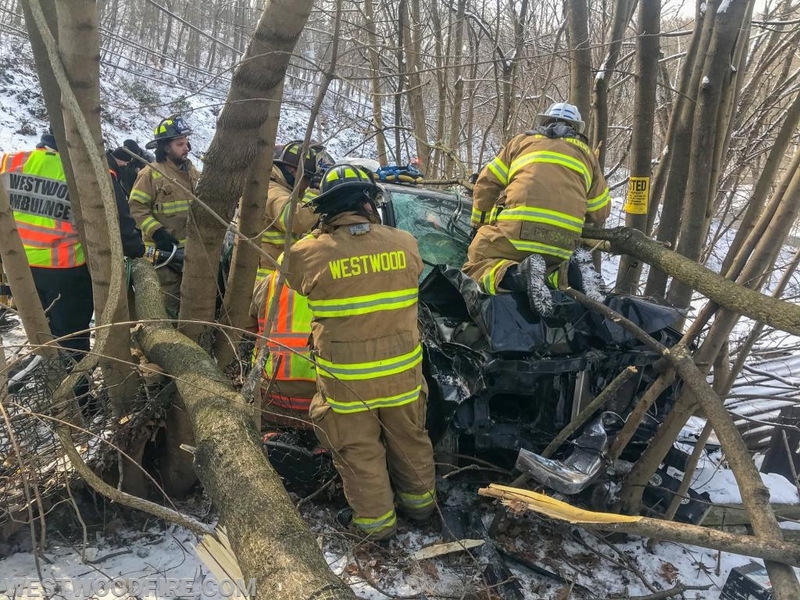 The extrication was completed at 1149 hours and the patient was then loaded into Ambulance 44 with Medic 93 in bound to Brandywine Hospital for the heli-pad. 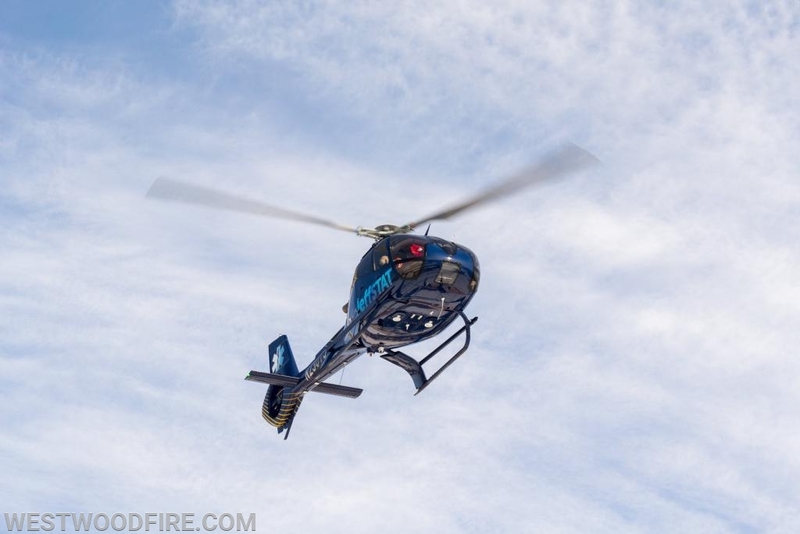 The patient that was trapped ended up being flown to a trauma center due to the severity of their injuries. Other patients were transported by ground. 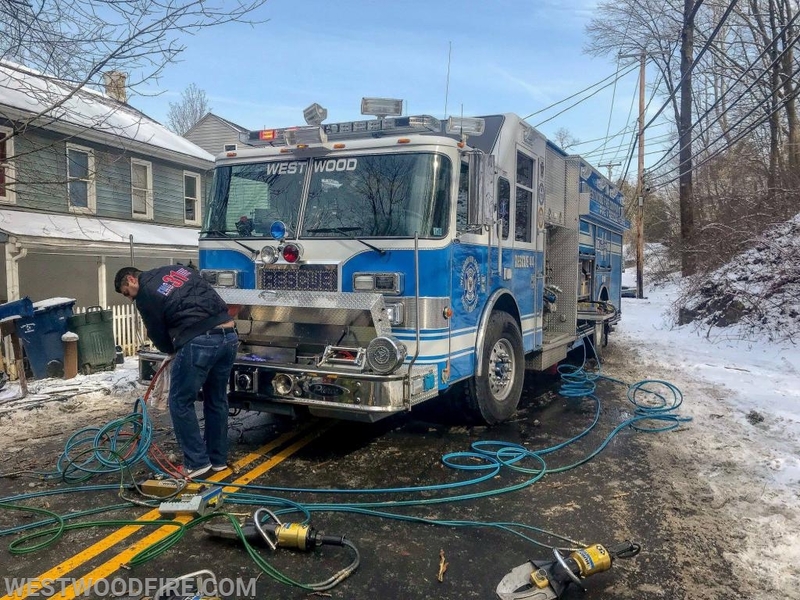 Westwood EMS had two ambulances on scene and another ambulance was used from the Washington Hose Company. 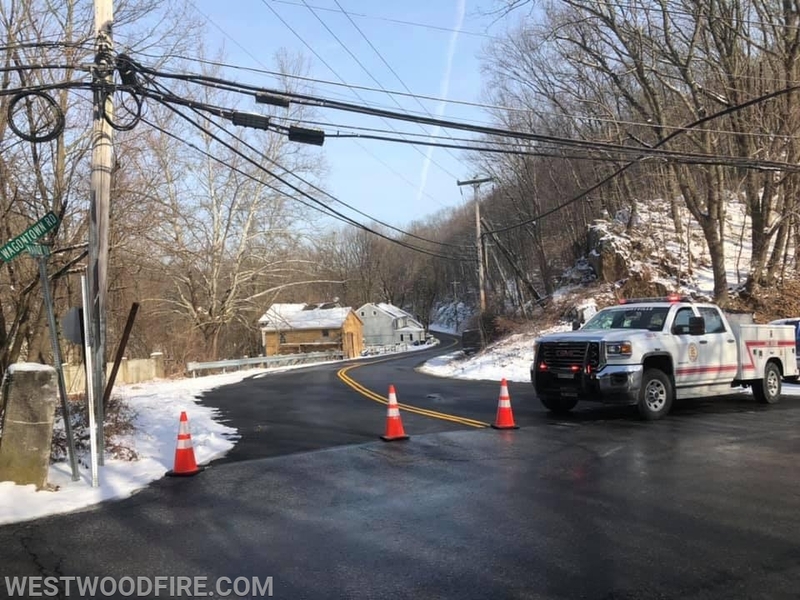 Fire Police from Wagontown and Sadsburyville Fire Companies assisted with traffic control at Wagontown Road and Valley Station Road as well as Route 82. Additionally, Wagontown Chief Ziegler relinquished the command from Chief McWilliams and Chief McWilliams assumed operations. Photographs courtesy of IrishEyez Photography. Firefighters get tools set up for extrication. Firefighters stabilize the vehicle and begin to open it up. 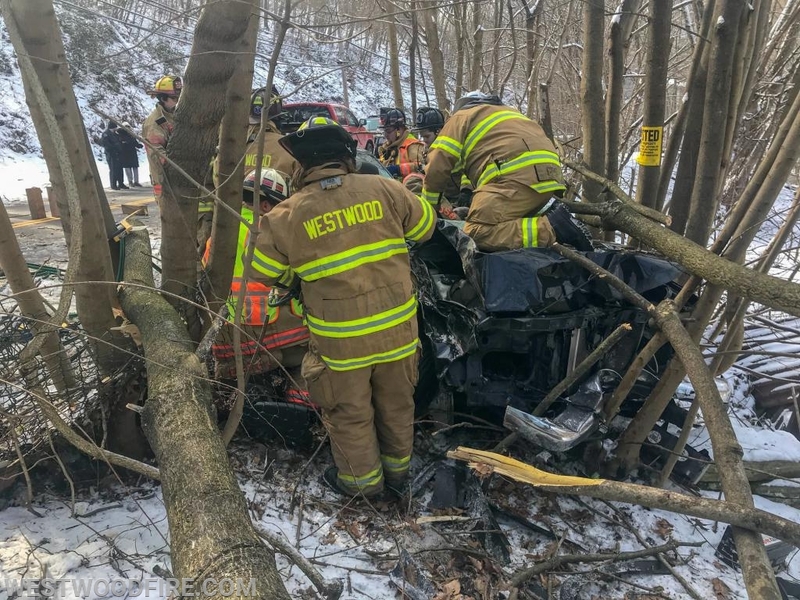 Wagontown and Westwood Firefighters worked together to extricate a trapped patient from a vehicle. The passenger door removed from the vehicle to gain access. Rescuers prepare to make final cuts for roof removal. The roof is removed and rescuers work to package the patient. JeffStat takes off for a trauma center. Rescue 44 with multiple hurst tools in service. Utility 31 closes Manor Road at Wagontown Road.